An audit of surgical records can be daunting. 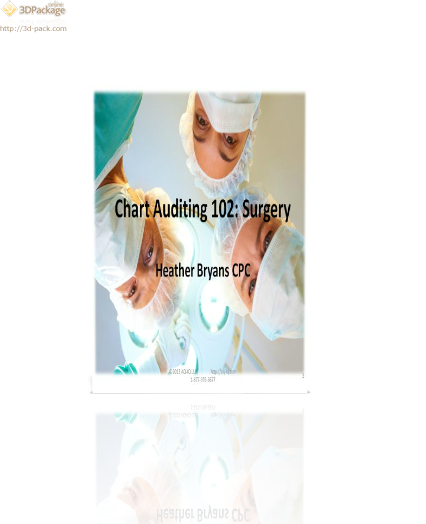 One must first understand the claim forms used, then research and apply payer guidelines and claims edits and continue to dissect the Operative Note to determine whether the correct codes were used in all fields. This webinar will address this audit process in a step by step methodology using multiple Case Studies.